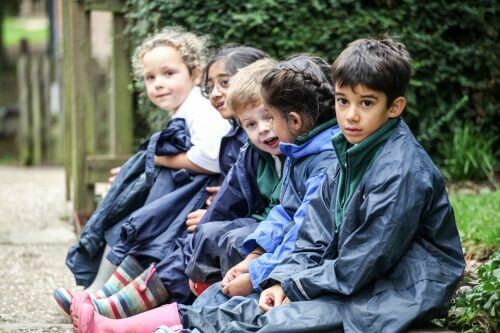 If you go down to the woods today … you might just find the Early Years and Key Stage 1 children in the beautiful woodland at Stroud experiencing an ‘outdoor’ way of learning. Based on a Scandinavian idea, Forest School’s ethos is to work with children in the woodland, exploring, playing and learning using a range of activities designed to build a high sense of independence, self-esteem and teamwork. Children go to Forest School weekly, learning about the woodland through fun and engaging activities involving tools, games, stories, fire lighting, mud and much more! Most of all they are able to have fun and learn about the outdoors within the setting of their own school grounds.